China's toy industry also has serious problems such as excessive heavy metals and excessive plasticizers. It is reported that phthalate ester compounds are widely used in plastic toys and stationery products due to their good plasticity. Huang Zhaoge, a professor of Polymer Science and Engineering at Qingdao University of Science and Technology, told reporters that plasticizers are also called plasticizers. Adding this substance to plastic processing can make it more flexible. European and American research institutes have found that plasticizers may interfere with the balance of functions and functions of children's original endocrine system, make them male or increase the risk of precocious puberty for girls. When the plasticizer comes in contact with hot water, it will accelerate molecular motion and quickly evaporate. If children put these toys in their baths, they will also directly ingest plasticizers. The reporter visited the toys section of several large shopping malls on Zhongshan Road. Most of the toys here are plastic. The raw materials are marked with â€œsafety plasticâ€, â€œplasticâ€, â€œABSPOMâ€, etc., and prices range from 15 yuan to 500 yuan. Not equal. What is ABSPOM? Huang Zhaoge told reporters that these are common types of plastics. If such materials are used as indicated, they are not a big problem. However, if you use the name "safety plastic," be careful about adding other chemicals. â€œThe toys we sell are all certified by 3C, and the quality is absolutely safe.â€ Xiao Guo, a salesperson at a large toy store in Zhongshan Road, told reporters. However, Huang Zhaoge stated that even toys with the "CCC" logo may not be safe, because some uncertified companies will also put "CCC" on their own toys. To verify the authenticity, consumers can log on to the official website of the â€œChina National Certification and Accreditation Regulatory Commissionâ€ and click on â€œCCC Certification Inquiryâ€. Enter the number under the 3C logo on the toy packaging to see if it matches the information on the packaging to identify the truth. false. In recent years, the safety issue of children's toys has become increasingly serious. Why do toy safety problems occur year after year, and the trend is going in a serious direction, and many reasons are poor quality control during product leaving and production. With the attention of parents to toy safety, rohs analyzers have also attracted attention in recent years because rohs detectors can accurately analyze lead Pb, cadmium Cd, mercury Hg, hexavalent chromium Cr6, PBDE, and PBDE. Is the polybrominated composition excessive? Not only rohs analyzers capable of detecting toys, X-ray fluorescence spectrometers are the most economical and effective detection equipments for toy safety detection devices, and its sensitive and efficient features determine the most suitable monitoring for the production process. X-ray fluorescence spectrometer has the function of rapid element analysis. It can extract heavy metal content in toys (lead, cadmium, chromium, arsenic, antimony, bismuth, mercury, selenium, etc. ), toxic element test of packaging materials, and phthalates. Content, EN71, test accuracy is extremely high. X-ray fluorescence spectrometer detection results can be comparable to chemical detection, but also greatly reduce the cost of equipment acquisition, use costs and detection time costs. At present, X-ray fluorescence spectrometer has become an indispensable tool for enterprises to promote green production. In addition to analysis and testing, the constant temperature and constant test box has also been favored by many toy manufacturers. 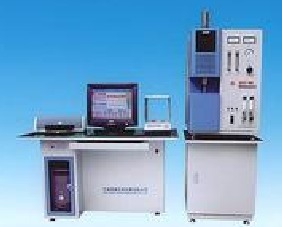 The temperature and humidity test chamber can simulate various temperature and humidity environments and meet various parameters such as the stability of the reliability machine in harsh environments. It will provide you with the basis for forecasting and improving product quality and reliability. Widely used in industrial electronics, military, plastic, hardware, chemical and other industries, such as: Electronic Components, automotive parts, notebooks and other products virtual climate environment testing.